Round Shaft Piers are used in compression applications. Helical piles have significant load bearing capacity and are used in both compression (downward) and tension (uplift) applications. 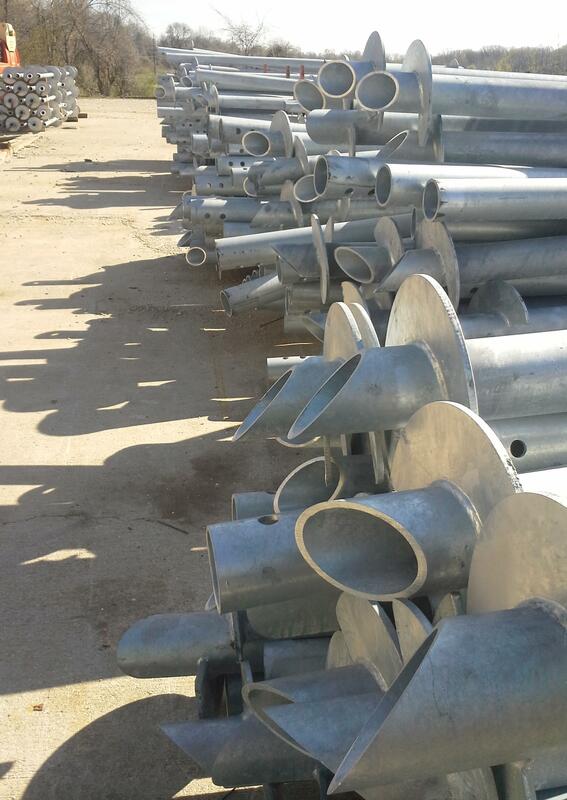 In many cases, round shaft helical piers will be used in compression applications. From large commercial companies to small business contractors who look to enhance their business and increase their competitive edge. Empire piers will give you that advantage with our new technology and products for your next project. Larger Diameter Piles are available upon request. Note: These are our most common shaft sizes, but we can custom manufacture helical piles up to 16.75” diameter with a .875 wall to suit your specified material requirements and standards. The capacities shown above for ultimate compression, tension and torsional strength values are determined by statistical analysis of laboratory testing results. A minimum factor of safety of 2.0 is recommended for determining allowable capacity from correlations with final installation. Load test are recommended when practical. Empire Piers Manufacturing USA.